Live arrival/departure status data for 300+ flights per month! Challenge: Eliminate thousands of unecessary phone calls to check up on flight departure and arrival times! Aviation Advantage finds travel agents who need flights for their tour packages and airlines who have planes that need to be filled. We're not talking about 10-20 seat corporate jets, we're talking about 200 hundred passenger Boeing 737's and as many as 300+ flights per month. Most charter flights do not provide a way to look up flight status online. Passengers for these flights clog up phones. In addition to inbound phone calls, Approximately 100 outbound calls had to be made by travel agents to notify vendors like hotels, ground transportation, tour guides, etc. whenever there was a delayed flight. Yikes! Solution: Provide online system that will be easy to use for a flight operations administrator who is in touch with crews at the airports to give real time updates online and properly keep up with 100 flights per week. 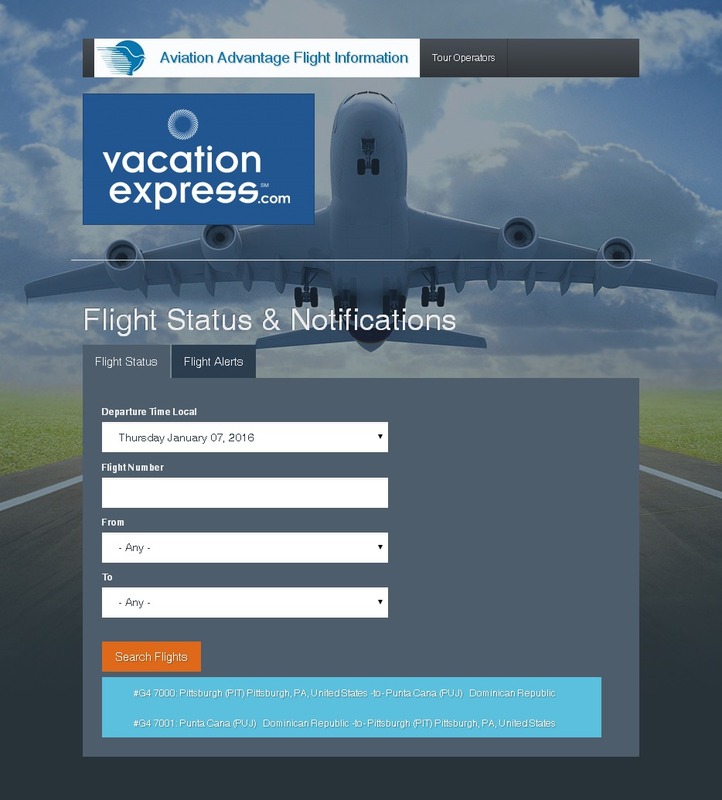 Also provide a way for passengers to receive emails if they wish regarding the flight status. Make it affordable, they couldn't afford the typical "enterprise" solution built for most aviation companies. Fortunately ADHD Media was able to put something together by using open source software which leaves plenty of room for them to grow. Results: Aviation Advantage has secured their largest client for a long time to come as they will be one of the first in the industry providing this type of app. Passengers don't get put on hold at Travel Agencies because they can look up a flight on their phone as it's mobile friendly.